We celebrated our FOURTH year anniversary on April 12th this year with a kickass giveaway. (If you missed out, you must subscribe to our newsletter to be notified of all future deals and giveaways!) 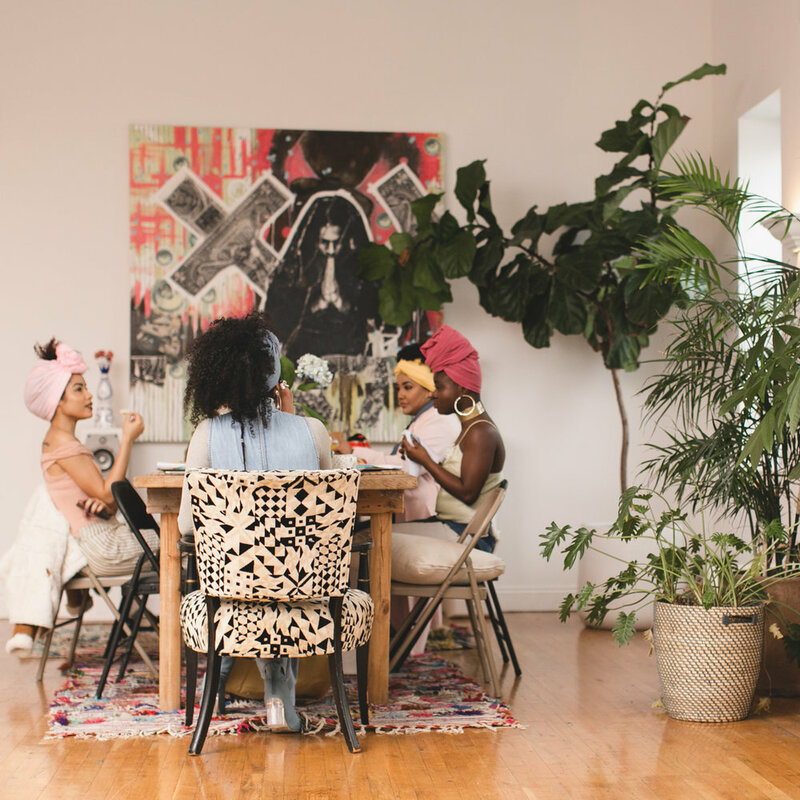 A few days later, we hosted an intimate brunch in a stunning, vibrant loft in Brooklyn with some of our favorite ladies. We cheered to sisterhood, living boldly and colorfully, and to strong women everywhere. Mama Cax arrived clad in a flowy Fanm Djanm Kimono (named after the lady herself), stacked Luanda bangles and one of our new linen headwraps that will be released later this spring. 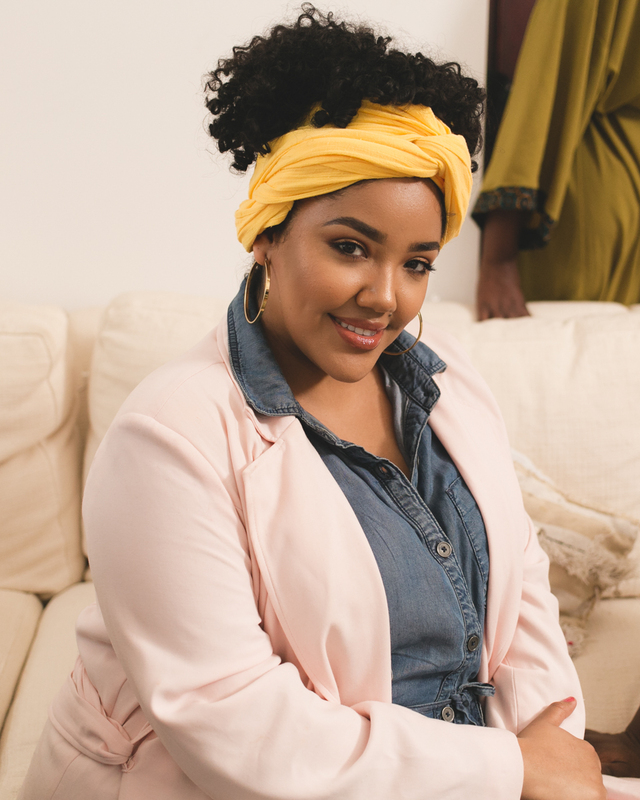 Lanea, our favorite makeup artist who has worked with us since our very first shoot, our look book campaigns and Paola's wedding cozied up next to Devry wearing our Azurite headwrap in a classic turban style. The brunch was hosted and designed by our very own Jessica Faria, stylist, designer, and event curator. Thank you for attending the first Fanm Djanm Annual Anniversary Brunch to celebrate our fourth year in business! I’m sorry I could not be here with you today, but your presence means the world to me. Your attendance symbolizes the community and sisterhood Fanm Djanm stands for and represents. Look around you and know that you’re in good company. Acknowledge the power that is you and that surrounds you on this special day. Exactly four years ago, I sat on my brown couch in my studio apartment in Harlem, crying my eyes out. Not because I was sad, but because I couldn’t believe I actually made that leap. 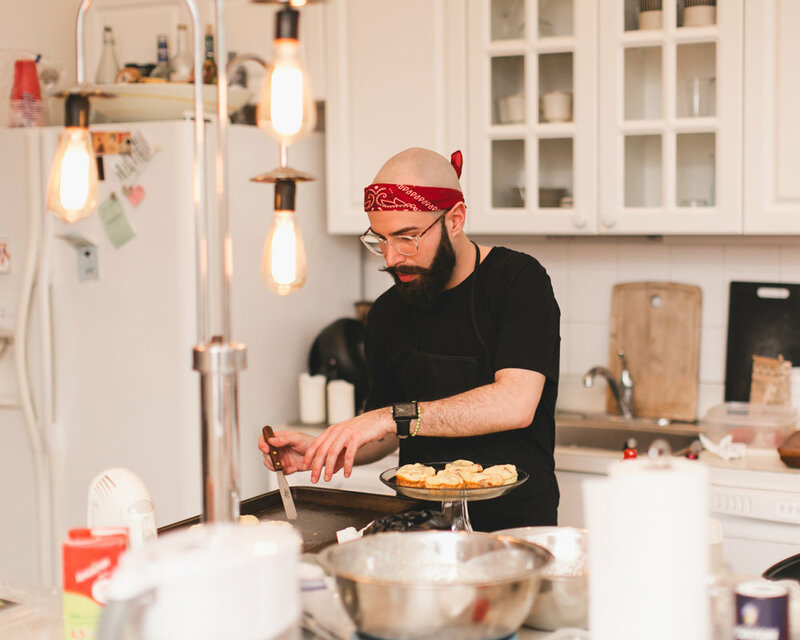 I quit my job where I was managing two restaurants with a great and stable salary with benefits to start something I wasn’t even sure I had a future in. Within two days, I sold out my first batch of headwraps, and as I walked up my block on Frederick Douglass, this random woman at a nearby cafe called out to me and asked me if I was Paola (the woman who just launched her own headwrap line). I knew then I was in the right direction and within six months, I decided to find a commercial space to start growing. And boy! It has been a ride since. Back then Fanm Djanm was just an idea. I didn’t think it would even last six months. 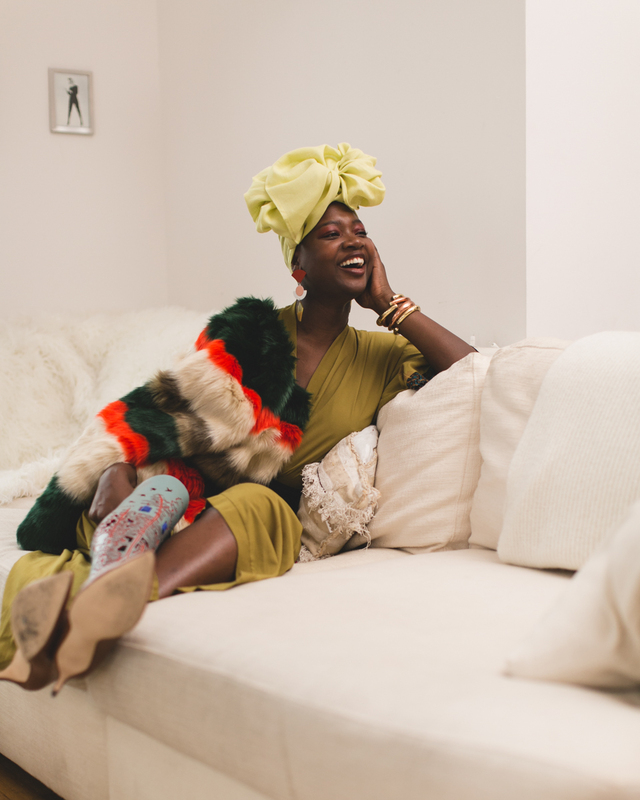 Headwraps were new to people, and the rise of small (black-owned) online businesses had just begun. A year had gone by, and then two. I started getting emails from Essence, Buzzfeed, Yahoo, and Refinery29. I visited their offices and collaborated with them. By the third year, we had a half-page feature in the New York Times. People all over the world started writing to us. Our pop up shops welcomed new customers who read about us through various print and online platforms. Now, Fanm Djanm is more than an idea. It is a movement. A global community of strong women. And a reflection of you. You are here in this room because we have worked together, we will work together, and I thoroughly believe in your own capabilities as business women, trailblazers, and trendsetters. I believe in long projects and works of progress. It was important to me that Fanm Djanm was not sold in big box companies and made cheaply in big factories, which is why we continue to make our headwraps in Harlem until we expand. It is intentional that I continue to run it without seeking or accepting offers from investors so I can continue to grow with you. So we can have full control of our image. Our stories. And our creativity. Thank you, each and every one of you for your continued support. Cheers to you and strong women around the world. Don’t you know that you’re magic? Day, SharDey, Devri, Lanea, Cax, Jess, Illy, Amiraa for attending this special brunch!